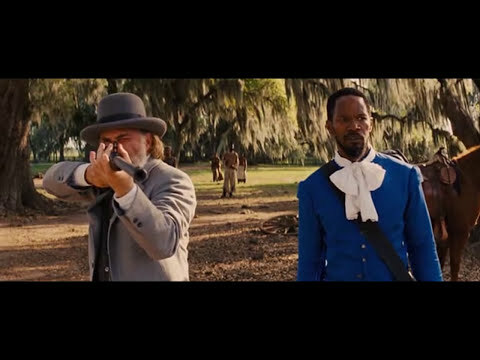 "Django Unchained" movie quotes follow the story of one slave enlisted by a bounty hunter for quite an adventure. The western film, written and directed by Quentin Tarantino, received numerous honors before it was even released on December 25, 2012. Among the accolades included Oscar nominations for five Academy Awards including Best Picture, Best Supporting Actor and Best Original Screenplay. It also won Best Screenplay at the Golden Globe Awards. In "Django Unchained," Christoph Waltz portrays Dr. King Schultz, a German bounty hunter who operates under the guise of a dentist. Dr. Schultz wants to apprehend the Brittle Brothers but he's never seen them to know what they look like. To make his task easier, Schultz seeks out someone who is familiar with the notorious brothers and makes him a deal he cannot refuse. That person just happens to be a slave named Django (Jamie Foxx). Django's wife was taken by the Candie Brothers some time ago so when Dr. Schultz offers freedom plus the return of his wife, Broomhilda (Kerry Washington), Django does not say no. Together, they journey across America to hunt down the Brittle Brothers and Calvin Candie (Leonardo DiCaprio), Broomhilda's owner. Samuel L. Jackson co-stars in the film. 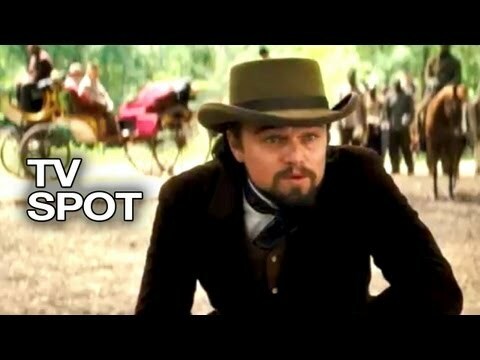 "Django Unchained" is sure to get some Oscar consideration but it won't be alone. Others released during Oscar season included "Killing Them Softly," "Hitchcock," "Skyfall," "Lincoln," "Flight," "Playing for Keeps," "Silver Linings Playbook," "Anna Karenina," "This Must Be the Place," "Cloud Atlas," "Wreck-It Ralph," "Nobody Walks," "The Sessions," "Red Dawn," "Chasing Mavericks," "Rise of the Guardians," "Argo," and "Looper." Mr. Stonesipher: "What's your name?" Django: "Django, D-J-A-N-G-O, the D is silent"
Just in case there was any confusion, Django spells out his name and explains that the D is silent, as he speaks with Mr. Stonesipher. Django: "I like the way you die, boy." For Django, getting the opportunity to kill one of the brothers responsible for taking his wife is sweet, sweet revenge. Big Daddy: "Damn. I can't see f***ing s*** out of this thing." Bag Head #2: "I think we all think the bags was a nice idea. But, not pointing any fingers, they could of been done better. So how bout, no bags this time, but next time, we do the bags right, and then go full regalia." Big Daddy: "Did I say we ain't wearing bags? It's a raid! Who cares if you can see! Can the Horses see!? That's all that matters!" As Big Daddy and the other bag heads learn, while their goal of riding around on their horses for the raid on Dr. Schultz and Django was well intentioned, the bags clearly impede their vision. Fear not, says Big Daddy, it's the horses who need to see, not them. Calvin Candie: "Gentlemen, you had my curiosity but now you have my attention." When Dr. Schultz and Django pay a visit to Calvin Candie, they intrigue the Candyland owner, moving his level of interest from curious to attentive.